If you need accommodation for your visit to ZSL London Zoo, there are some excellent options below for places to stay in London all a short distance away from us. Enjoy your stay at the chic Holiday Inn London Camden Lock hotel, close to Camden's fashionable markets. The contemporary Holiday Inn London Camden Lock is on the bank of the Regent's Canal in the heart of trendy Camden. Choose the well connected Holiday Inn London Regent's Park hotel, with a superb central London location and speedy transport links. Holiday Inn London Regent's Park is in a leafy and cosmopolitan area of central London, a 10 minute walk from bustling Oxford Street. Receive a warm welcome at the good value Holiday Inn Express London Swiss Cottage hotel, 10 minutes by underground from central London attractions. You'll enjoy our convenient location just outside central London in Swiss Cottage. Enjoy a quiet location right in the heart of cosmopolitan London at the Holiday Inn London Oxford Circus hotel. Marble columns frame the entrance to our London hotel, an elegant Edwardian building on a peaceful street in the smart Marylebone area. Opt for the modern and central Holiday Inn London Bloomsbury hotel, set in a quiet street near Russell Square Tube station. Holiday Inn London Bloomsbury is just 2 minutes' walk from the Tube at Russell Square station, for speedy connections across the capital. 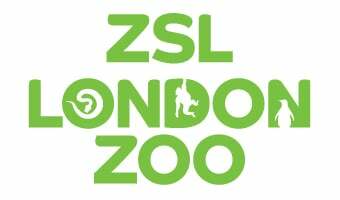 Find out entry costs for ZSL London Zoo, including online savings.